Marketing collateral is at the heart of your clients’ company’s brand, and is another chance to make a great impression. Their marketing collateral design should always work together to reinforce and enhance their message. You may start with a brochure or maybe a presentation folder. But wherever it starts, their suite of marketing collateral is an important investment in their business, and along with their corporate identity, work to untie their brand and get their message across to potential customers. Already have marketing collateral? What does your clients’ collateral design say about their business? Is it modern and fresh? Does it all work together to tell their story and unify their brand? Is it appropriate for potential customers? If not, it may be time to refresh or redesign their marketing collateral. Need additional pieces? 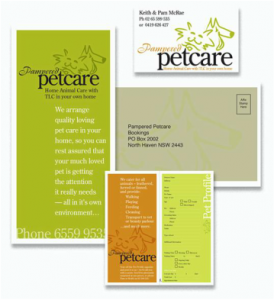 You may already have a look established with existing marketing collateral design or an identity package. Any new pieces you add should be designed to compliment those you already have and work well together.